Living in Lyttelton and working throughout the Port Hills area, we have a lot of experience working on hillside properties. Hillside properties provide challenges when designing and constructing a garden. Some things to consider are the contour levels of the site, sun angles, shelter requirements, shading, views, retaining, and privacy desires. To get the best out of your property these factors have to be managed carefully. Our experience dealing with such issues enables us to provide you with good practical advice and effective solutions. Our technical ability to quickly interpret a difficult hill site into a 3D computer model means we can cost-effectively analyse and design your project. This allows us to present you with an accurate proposal for the design, giving you a clear understanding of the design before construction begins. 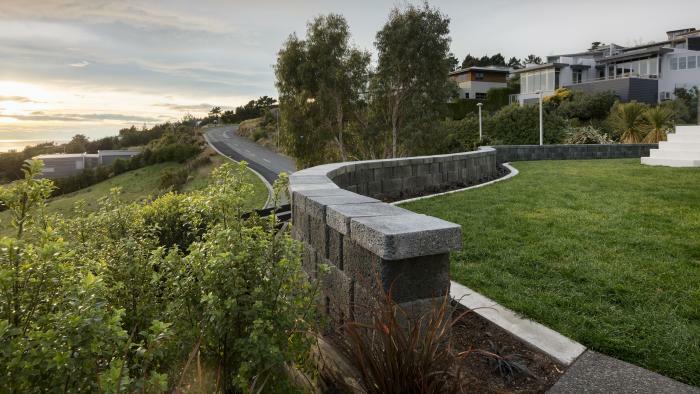 Often, to get the best usable space on a hillside property, retaining walls have to be constructed. We design and build these ourselves, and also use the services of specialised sub-contractors where necessary. 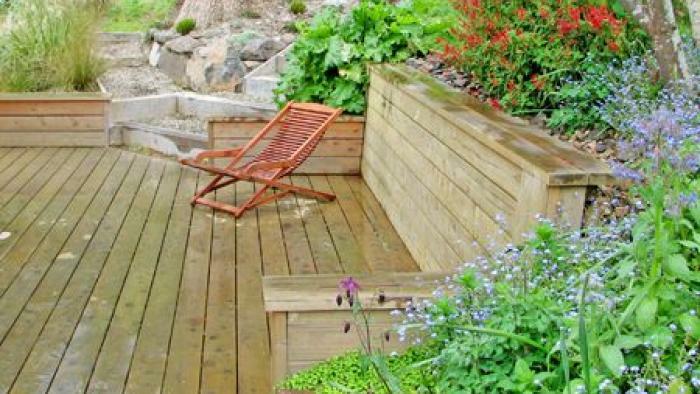 Accessibility is a key consideration when designing a hillside garden. To maximise views, make the best use of space and link the house to the garden, the placement of walkways, steps and terraces should a thoroughly explored before construction commences.